GREAT GIVEAWAY...THE CURTAIN EXCHANGE Delivers! 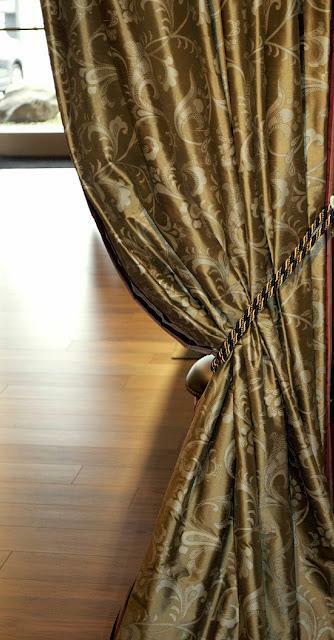 Have you been dreaming of a luxurious silk drapery hanging at your windows? Do you have bare windows that are begging for some love? 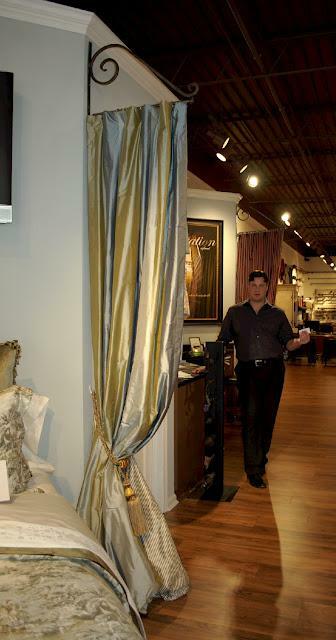 Are you longing for someone to give you a jump start on your curtain project? 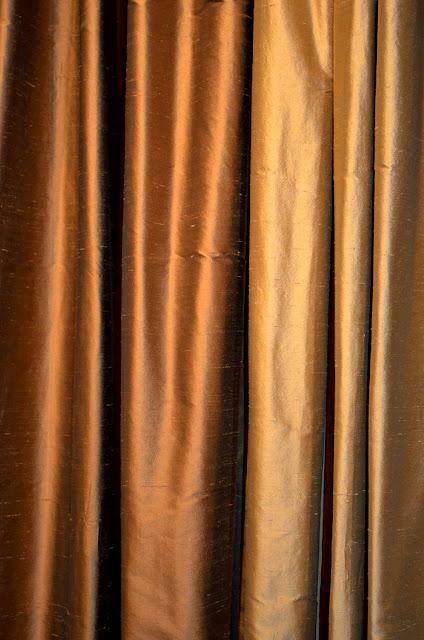 The Curtain Exchange is an amazing resource offering handmade (in the good old USA) curtains in-stock, available to take home in one day. Another huge perk is taking selections home on approval before you purchase to make sure they're perfect! The Curtain Exchange also offers a wide array of curtain hardware & installation too. Happily, The Curtain Exchange has been serving Memphis for the last 7 years & if you haven't visited our store, please do. It's beautiful! DRUM ROLL please...I'm so excited to announce the RAGLAND HILL SOCIAL + THE CURTAIN EXCHANGE GIVEAWAY starting today. Giveaway runs through the end of February & one of RHS' lucky readers will BE DANCING A JIG WRAPPED IN DUPIONI SILKS! The curtains above are what our lucky reader will choose from. 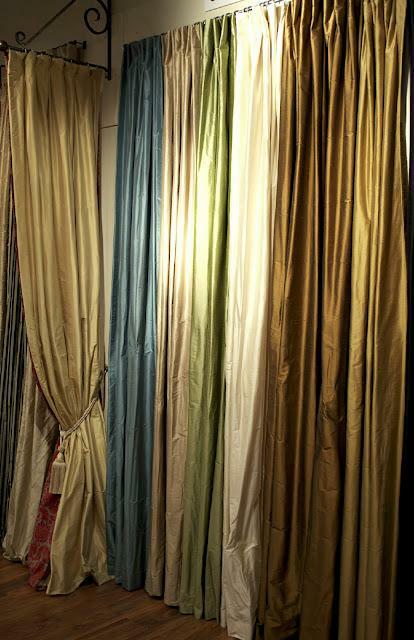 They are beautiful, 100% Dupioni silk curtains, lined & inner-lined measuring 100" long. A pair of your choice that's fitting for your decor & just, well, makes you squeal with glee! If it were me, I'd choose one of these amazing bronze butter colors...a favorite hue for a rich, wonderful design scheme. They're perfect for a living room, dining room, bedroom or whichever room craves some curtain love! This GIVEAWAY has a value of $700 so woo-hoo, big win is in store for someone special! And, to make this even more sweet for me...see this handsome man? The Curtain Exchange owner, Tim Tanner & I have been great friends, literally, for so many years I can't reveal! His beautiful store, in the heart of East Memphis, is a haven for all those design mad Memphians who love all things beautiful. And, he's a HGTV Star along with business partner, Kip Meyer. Go visit two of the nicest guys you'll ever meet! Visit Memphis The Curtain Exchange store & enter your name in the RAGLAND HILL SOCIAL + THE CURTAIN EXCHANGE GIVEWAY drawing in the store! "Like" official The Curtain Exchange Facebook page by clicking here, "Like" Memphis The Curtain Exchange Facebook page by clicking here, "Like" Ragland Hill Social Facebook page by clicking here & comment there to officially enter. We'll be here waiting to see how many people are fired up to win something worth $700! Go run to the Memphis store, hit Facebook STAT, "Like" away & get yourself entered! If you "Like" all 3 Facebook pages you'll be entered 3 times! Good Luck!!! P.S. Regardless of how you enter, don't forget to comment on Ragland Hill Social Facebook page here to make it official!